White or brown, long, medium or short, with the fine textures and aroma, it satisfies the hunger. Do you know what it is? Yes, you guessed right we are talking about rice. Rice is a food in which majority of people depends upon. Whether it’s a part of the daily meal, party, or some other occasion rice is the chief food everywhere. People love to have cooked rice either in the form of biryani, fried rice, pancakes or others. They love to enjoy its taste in different varieties. Cooked rice is most common among them and most convenient to cook in a bit of time and you can easily serve it with some curry or gravy. Apart from it, its leftover is used to prepare varieties of dishes. So in order to explore it more, it’s important for us to learn how to make it and how to preserve it for a long time so that it keeps you and your family healthy and safe. What is Cooked Rice anyway? Does Cooked Rice Go bad? How Long Does Cooked Rice last? How to tell if the Cooked Rice Has Gone Bad? How to Store Cooked Rice Properly? The rice which has been prepared either by the process of steaming or boiling is known as cooked rice. It is also known as the name of steamed rice or boiled rice. To prepare cooked rice, rice and water are the two main ingredients. Before cooking, some variety of rice is rinsed and soaked so that it speeds up the cooking. Since a long time, heating takes away the aroma of the rice. Here, soaking rice maintains the flavor of the dish by keeping its aroma. After that, we add a pinch of salt in rice and add water and set it to boil. The trapped steam inside the pot is that which allow the rice to cook adequately. 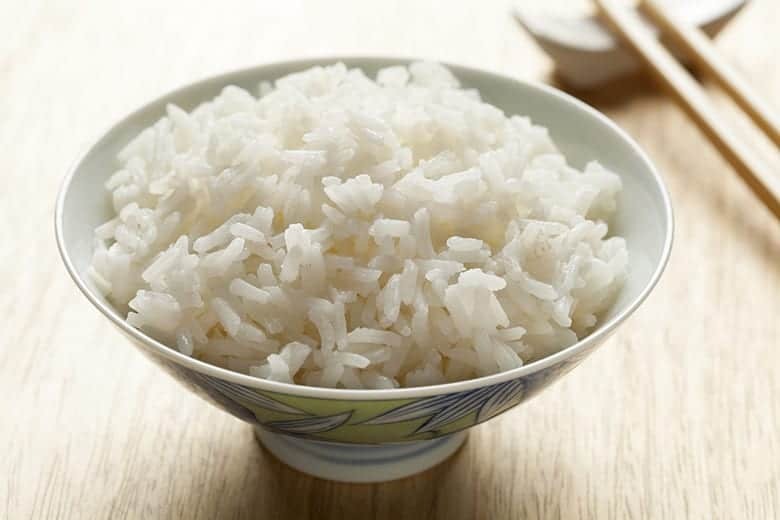 During the process, rice absorbs water and increases its size and mass. There are also few more types of rice that should not be rinsed as those have been enriched with vitamins and minerals and rinsing take way its nutrient values. So, make sure before doing it. In many dishes, cooked rice is used as the basic ingredient such as biryani, risotto, panta bhat, rice balls, rice cakes etc. You can also prepare varieties of dishes with leftover steamed rice like fried rice dishes, porridge, rice pancakes etc. Rice is one of those pantry major food items that appear to have an unlimited shelf life. But in actual lasting of cooked rice depends on how it is cooled and preserved. Cooked rice goes bad when it is not cooled, stored, or reheated properly and then the bacteria can cause food-poisoning. When you left the cooked rice at room temperature for more than two hours before storing it in the fridge, then it’s better to throw it in the dustbin. 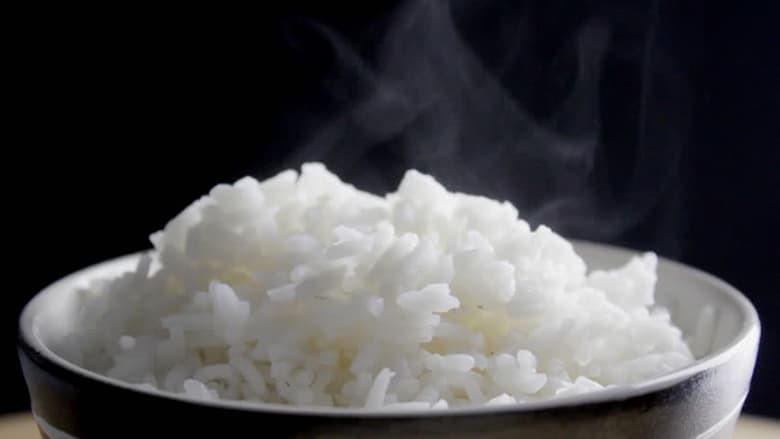 At room temperature, cooked rice lasts for two to three hours without storing it in the refrigerator. In the freeze, it can be stored for four to six days. For a maximum time, it can be stored only in the freezer at zero degrees Fahrenheit by using an airtight container or microwave plastic bags. It can store the cooked rice perfectly until six months. To use it you can transfer it to a bowl and defrost it to room temperature and set it to microwave for three to four minutes. This maintains the quality of rice well and you also get the healthy food in minutes of time. When the rice is stored properly then it can last for four to six days in the fridge. By refrigerating it in the covered airtight container or resealable plastic; it is easy to increase the shelf life of cooked rice. Cooked rice can be perfectly edible for four to six days or more if you have a modern fridge with higher technologies and efficiency. Storing it at zero degrees Fahrenheit definitely increases it preserving time up to six months without compromising in its quality but will remain safe after that time. It is always important to refrigerate the cooked rice within two hours of cooking after cooling. Once your rice gets cooled to room temperature. Pack it in small bowls in individual bags. Refrigerate it as soon as possible. When you need it, take out the bowl and heat it for two to three minutes in the microwave. Serve it and enjoy the rice in few minutes only. Super hard and dry- As long as you kept the rice in the fridge, it gets dried and hard. It’s better to eat rice within a few days of its cooking. More than that makes it unhealthy for us. To increase the shelf life of cooked rice, it is good to store it in the airtight container inside the refrigerator. Left unrefrigerated for a long time- It’s good to reduce the time of keeping cooked rice at room temperature. Since this gives an ideal condition for bacteria to develop. Uncooked rice may carry spores of a bacterium called Bacillus cereus. These spores can still exist even after cooking. When it is not cooled, preserved, or reheated suitably, the bacteria causes’ food poisoning. Thus, if you keep cooked rice at room temperature for more than two hours before storing it in the refrigerator then this makes it unsafe to eat. When cooled and reheated many times- It is always suggested to minimize the number of cooled and reheated times for rice. This is so because this gives a perfect surrounding for bacteria to develop. It is good to reheat the leftover rice once only and safest to eat. Unpleasant smell - When there is an unpleasant smell coming from your cooked rice; it’s an obvious hint that it has gone bad. This indicates that the rice has been in the fridge for more than four days and it’s time to throw it away. In addition to aforesaid points, it is considered as a good idea to consume the cooked rice within three to four days after its cooking. 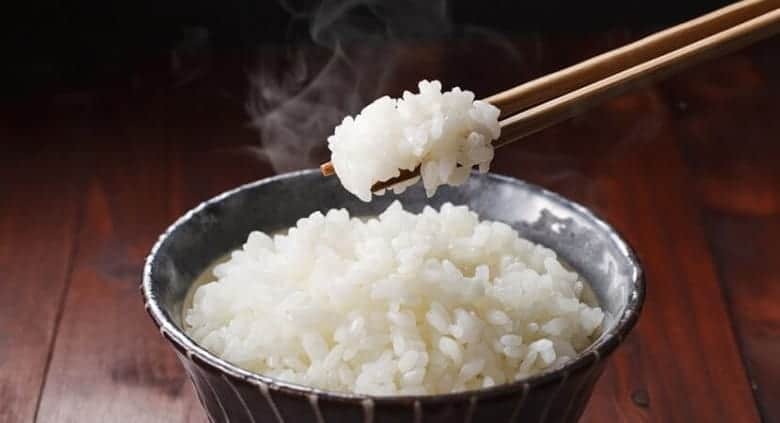 Sometimes we cooked rice extra so that we get it ready at hand but it’s essential to learn how to store it properly so that we can enjoy it later also. There are several ways to store it properly, let’s learn them one by one. You can store cooked rice in your rice cooker with “keep warm” button on. It stores cooked rice for three hours (best quality) until one day. 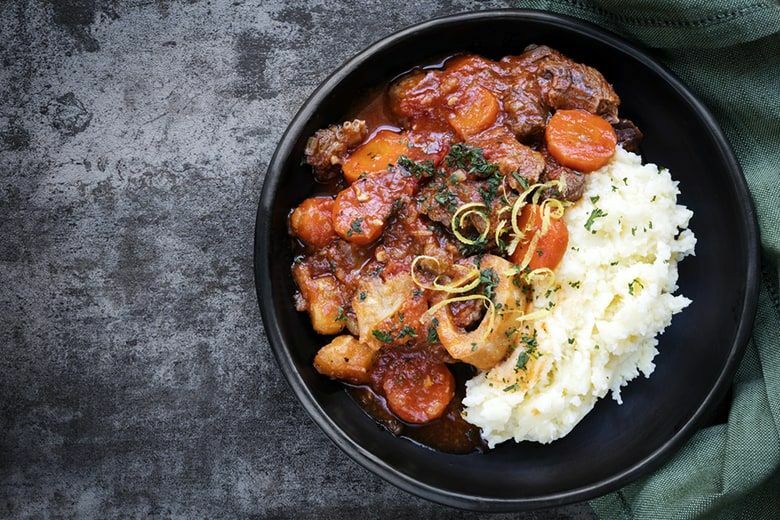 A Second way is to keep it at room temperature for two to three hours in summer and for a day in winter. Storing it in a refrigerator is another good way. Also, it allows you to use it for three days maintaining its quality. Last but not the least is to store cooked rice in the freezer. This process can store rice up to one month. The only thing you need for it is an airtight container with a steam vent. Pack freshly cooked rice in the container with steam and cover the lid instantly to catch the steam and moisture. Then store it in your freezer once the rice gets cool. It will maintain its quality well until one month. After that whenever you require rice, take it out from the freezer, unlock the vent and defrost it properly in the microwave for 3-4 minutes. In case if the microwave- safe containers or glass containers are not available with you, then there is no need to worry about it. Simply use the microwave-safe plastic wrap. Put the cooled rice on it and wrap it tightly. Keep it in the freezer bag and closed firmly. Mention the date of packaging on it. When you want to use it, just defrost it. Move it to a bowl and spray some water in it to add some moist and set it on the microwave for 2 minutes. Your rice is ready to satiate your hunger. After reading this article you can easily store your cooked rice for a long for yourself as well as for your loved ones. If you have one or two members in your family and you don’t like to prepare rice so many times, just cooked it once and store it for a long inside fridge and save your time as well as money. Also, you can easily prepare varieties of dishes with leftover cooked rice without compromising in its quality. So, in brief, preserve your cooked rice safely and keep your family healthy.